MADRID/ATHENS (Reuters) - European Union and Italian authorities are investigating suspected wide-scale tax fraud by Chinese criminal gangs importing goods via Greece’s largest port of Piraeus, a trade gateway between China and Europe, officials said. “The VAT is completely evaded, with enormous damage to the national tax authorities and to the community,” Fabio Botto, of the Italian Central Anti-fraud Office’s special investigative unit, said in an interview. He said the suspected scam at Piraeus, part of China’s vast Belt and Road infrastructure project, had cost Italy tens of millions of euros in unpaid value-added taxes (VAT), though the total could be far higher as the investigation was not over. The European Anti-Fraud Office (OLAF) confirmed it was working with Italy on the investigation but declined to give details, citing confidentiality. Botto said his agency had evidence that Chinese-owned firms run by the criminal groups were fraudulently avoiding import duties and VAT on large shipments of goods through Piraeus. The groups import goods, often counterfeit clothing and footwear, and massively understate their value to EU customs to avoid import duties, he said. They also lie about the firms that receive the goods, enabling them to avoid VAT. Greece’s Financial Crime Unit is conducting a separate investigation into a suspected tax fraud case involving Chinese goods imported via Pireaus. The Greek unit has had little contact with Italian and EU authorities and has not been informed about the wider investigation, an official there said. China’s state-owned COSCO Shipping (601919.SS) (1919.HK) has majority-owned Piraeus since 2016. 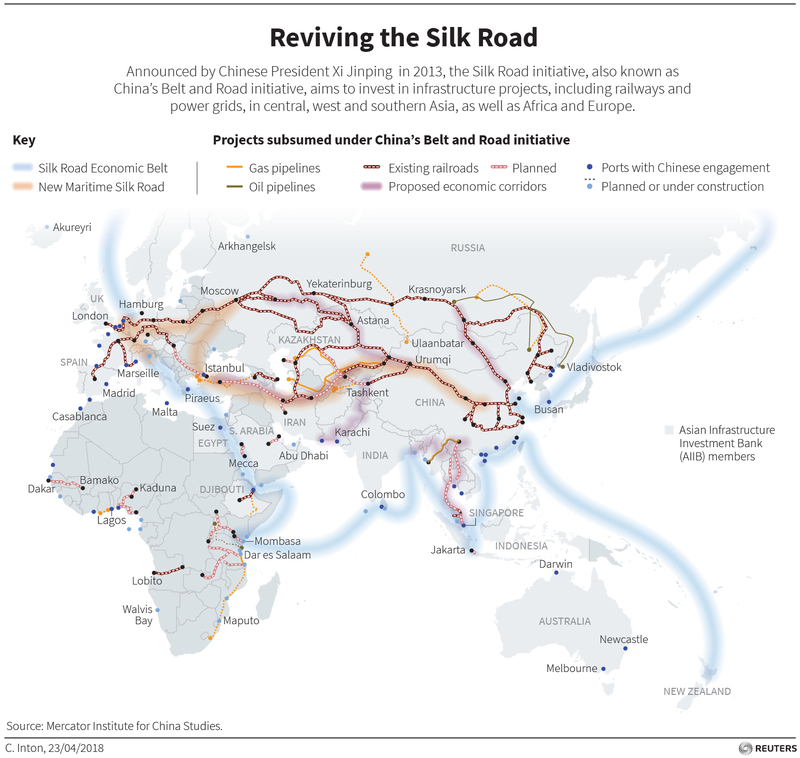 China wants to transform the port into its “gateway to Europe” under the $126 billion Belt and Road initiative, which envisions a new “Silk Road” of land and sea routes with trading partners. Botto and the Greek official said neither investigation had evidence of any wrongdoing by Piraeus port authorities. COSCO owns a majority stake in the Piraeus Port Authority (PPA) (OLPr.AT), which manages one container terminal, and a wholly-owned COSCO subsidiary owns and manages two other terminals. COSCO said: “The company has in its global operations consistently and strictly followed local and international laws, and persevered to operate legally and compliantly”. PPA said it had not received any information about criminal groups using the port and it would alert authorities if it did. It said it took all necessary measures to ensure that goods had customs supervision. “(PPA) is under no circumstances responsible for conducting checks for illegal activities,” PPA said in a statement. OLAF and national authorities in recent years have clamped down on customs loopholes used by Chinese smugglers, whose tax scams they estimate cost the EU billions of euros a year. Italy began investigating the Piraeus case in late 2017 after seizing falsified invoices at customs offices, Botto said. Reuters has not seen this evidence and Botto declined to name the suspect firms as the investigation is ongoing. Piraeus has become a major new entry point, Botto said, as northern ports have tightened controls and Piraeus’s import capacity has leapt six-fold under COSCO. “We are investigating the new routes developing with the Belt and Road project. Currently the predominantly beaten path appears to be through Piraeus,” he said.